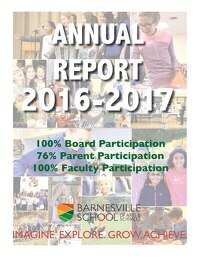 Barnesville School of Arts & Sciences is indebted to the many volunteers and contributors who enrich our school. Their contributions are recognized in the pages of our Annual Report. Click on the image below access the digital version.